Leopard is a huge trend this Fall so get ready to embrace your inner animal, if you haven’t already. What I love most about leopard is that it works on everyone. Use it as a neutral or just touch on it with an accessory like an earring or boot to update your look. Here are a few of my favorite leopard items to take your wardrobe over to the wild side. 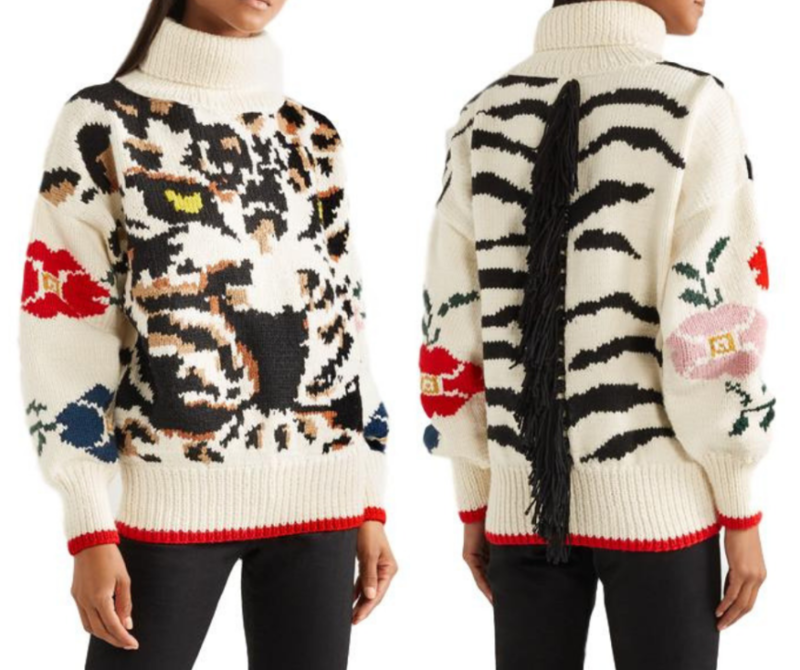 Stay warm and cozy in this unique leopard sweater with a surprise set of zebra stripes and fringed mane on the back. 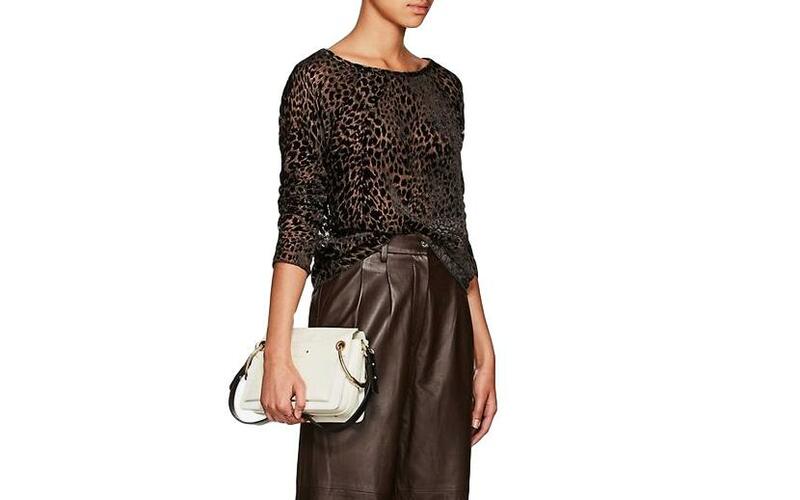 Incorporate this neutral leopard blouse into your office attire or add leather pants for a night out. 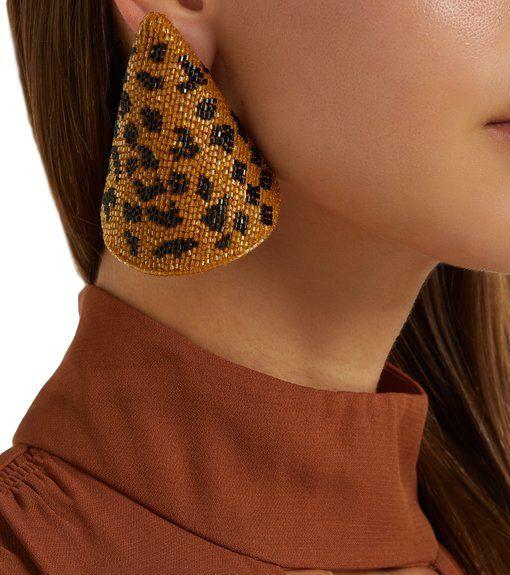 These earrings are a perfect way to give a nod to the leopard trend. They are comprised of delicate glass beads that will give them a subtle shimmer without looking over the top. 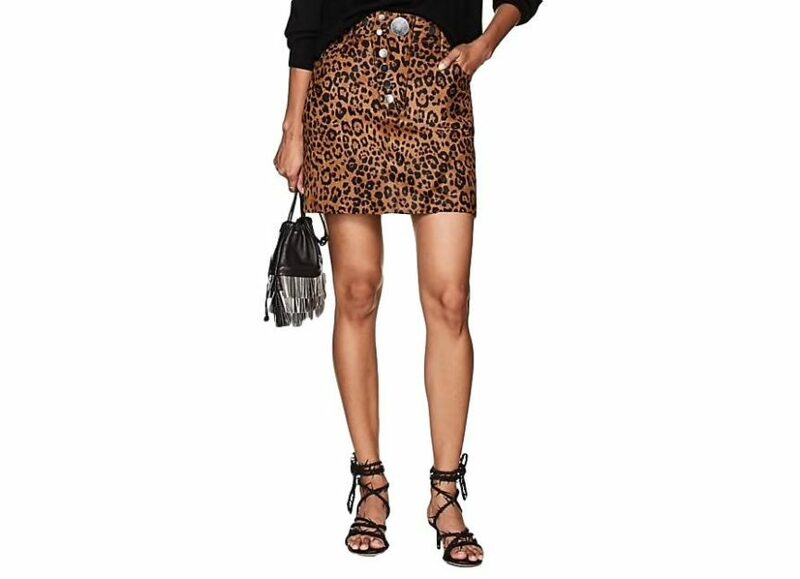 If you are looking to invest in one leopard piece this season, the leopard-print skirt is it. It can easily go from day to night and works back with many different tops and shoes. 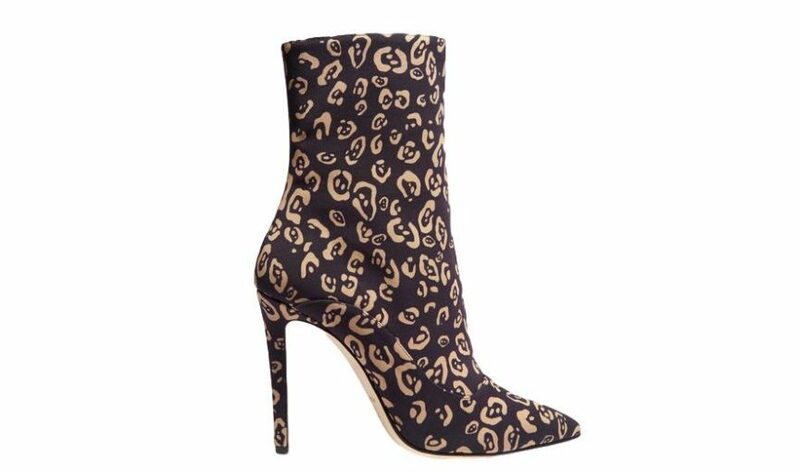 The brilliantly reversed color of the spots makes this sophisticated bootie an easy neutral for your wardrobe. 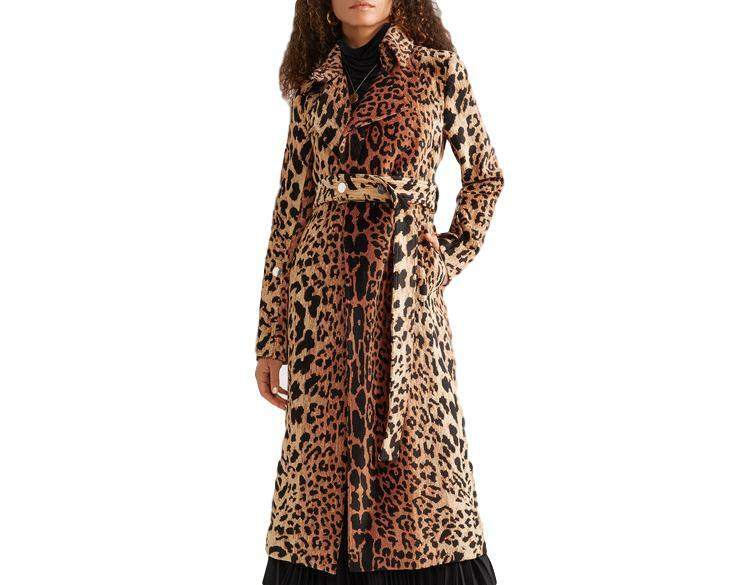 The leopard coat is the ultimate statement piece. It will serve you for years to come.